Houston Children's photographer Maribella Portraits, LLC specializes in capturing the imagination and playfulness of childhood. 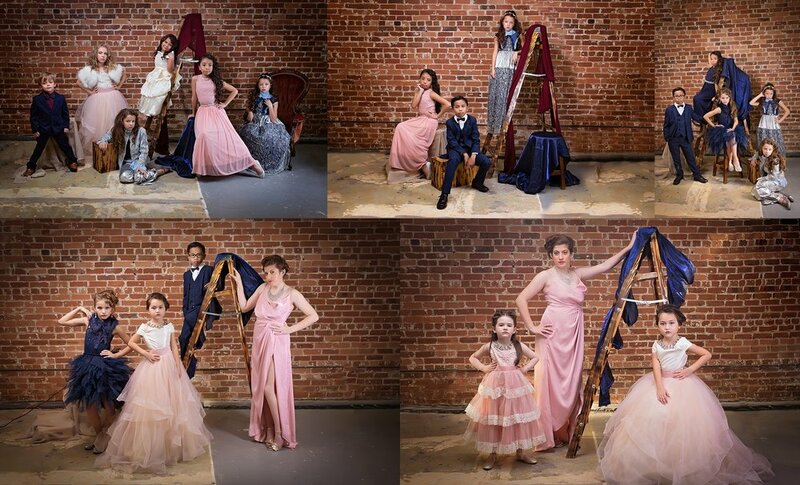 The group stylized shoots are a way to bring a child's imagination to life, while creating memories to last a lifetime. To celebrate the end of the year we put on a Vanity Fair Inspired Editorial Shoot. Elegant children in sparkling dresses and jewlry, handsome boy sin beautiful suits and a party. First check out the behind the scenes video for all the fun we had and then enjoy our photos!